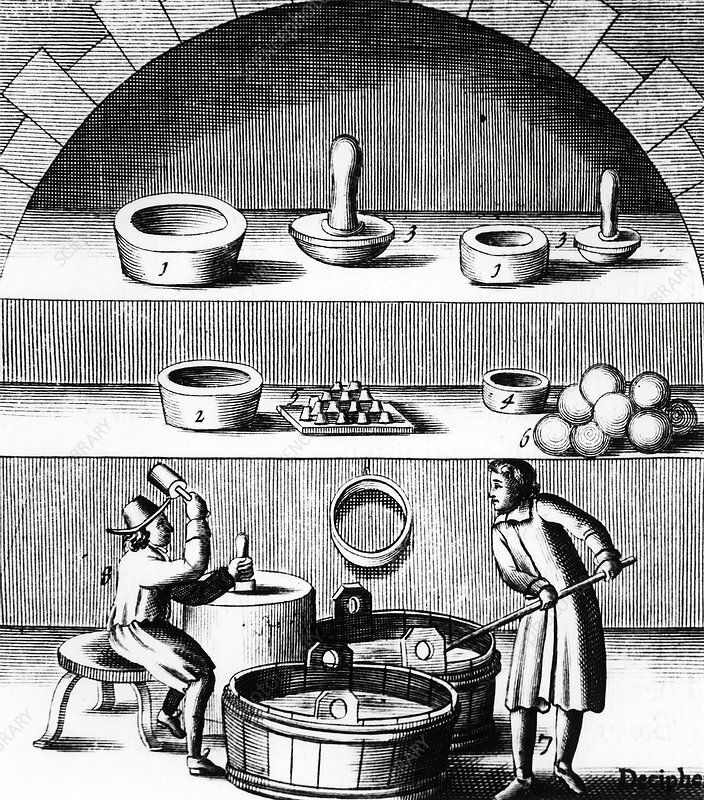 Assaying of silver: 1&3, moulds for making cupels: 2&4, the cupels: 8, man moulding cupels. From 1683 English edition of Lazarus Ercker Beschreibung allerfurnemisten mineralischen Ertzt- und Berckwercksarten originally published in Prague in 1574. Copperplate engraving.